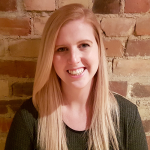 Courtney graduated from Dalhousie University in 2018 with a Master of Science in Physiotherapy. Preceding her MScPT, Courtney received a BSc in Human Kinetics from St. Francis Xavier University in 2015. In addition to her academic accomplishments, Courtney has volunteered for many community organizations while completing her studies including volunteering as a Student Athletic Therapist for the St.F.X. Varsity women’s hockey team and working with individuals with intellectual and physical disabilities in teaching the sport of sledge hockey. Courtney is currently a member of the Canadian Physiotherapy Association. In her spare time, Courtney enjoys playing soccer, hockey and beach volleyball.